Wow, would you look at that: it's 2009 already. In fact, it's almost February! Sheesh. I had no idea I'd be gone for this long. If you knew what I've been working on, then you'd probably understand. 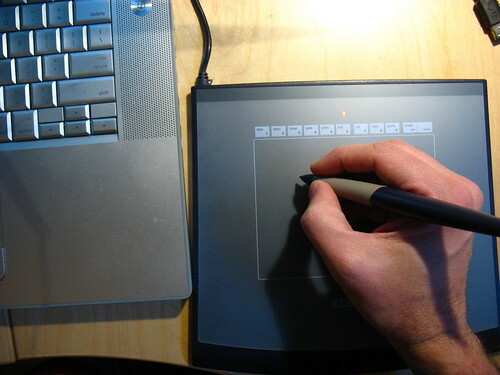 Above: my view throughout the entire holidays, running all the way up until Monday: drawing, scanning, photoshop, rinse. Repeat. It's been a crazy, hard journey, but I'm very excited by the final product. I wish I could say more, but unfortunately, I can't!